The summer movie season isn’t exactly best known for independent film. With billions of dollars set to be spent on a record amount of sequels (“Kung Fu Panda 2,” “Transformers 3,” “Pirates of the Caribbean 4,” “Final Destination 5,” “Harry Potter 8,” etc., etc., etc. ), one has to wonder: How much space is left for the little guys. That said, summer can be a particularly risky time to release an independent film, partially due to the mass amount of studio pictures with huge advertising budgets that are bogarting three or four screens (or more) in some multiplexes. So, it’s also important to look outside the box office. A lot of great films are going to come and go this summer and even if they are destined for meager grosses, they might still deserve moviegoer attention. It just might be hard for some to find that attention, given the plethora of “Transformers” and “Pirates of the Caribbean” ads blocking the view. What’s The Deal? Terrence Malick’s latest – which has probably been on a half dozen indieWIRE previews before getting delayed over and over – is 99.9% actually coming out this May. Starring Brad Pitt, Sean Penn and having something to do with dinosaurs, the cosmos and the meaning of life (all against the backdrop of a 1950s family drama), the film is debuting in Cannes and then heading to theaters shortly thereafter. Who’s Already Seen It? Terrence Malick. Some Cannes programmers. Some students at the University of Texas at Austin. Maybe Brad Pitt. Though we don’t even know any of that for sure. Check back with the film’s criticWIRE page. Why is it a “Must See”? “Life” has had one of the most fascinatingly mysterious release lead-ups of all time, and is clearly the summer’s most anticipated specialty release. Malick has only made five films in his near 40 year career, and the four that came before “Life” have all been heralded by critics and often end up on best-film-ever type lists. “The Tree of Life” may still be a bit of a mystery, but chances are it’s going to be one that delivers. What’s The Deal? “Hoop Dreams” director Steve James gives us one of the most acclaimed films to come out of the 2011 Sundance Film Festival in “The Interrupters.” Capturing a period in Chicago when it became a national symbol for violence in America, it tells the stories of three Violence Interrupters who try to protect their communities from the violence they once employed. Who’s Already Seen It? 8 critics gave it an average of A- on the film’s criticWIRE page. What’s The Deal? Miranda July and Mike Mills are two filmmakers who just happen to be married and who both just happen to be about to deliver much-anticipated follow-ups to 2005 indie hits (“Me and You and Everyone We Know” and “Thumbsucker,” respectively). July’s “The Future” and Mills’ “Beginners” both hit theaters this summer after warmly received festival debuts, and together would make a very complimentary double feature. Who’s Already Seen Them? 13 critics gave “The Future” average of B on the film’s criticWIRE page, while 16 critics also gave “Beginners” an average of B+ on the film’s criticWIRE page. Why Are They “Must Sees”? Both oddly charming, whimsical takes on thirtysomething romance, “The Future” stars July alongside Hamish Linklater as a couple whose relationship grows troubled with the arrival of an adopted cat while “Beginners” finds Ewan McGregor struggling to overcome the death of his father (played by an Oscar-nomination worthy Christopher Plummer in flashbacks) through a budding romance with Melanie Laurent. Check out indieWIRE’s reviews of “The Future” here, and on “Beginners” here, both of are quite positive and confirm them as the hipster date movies of the summer. What’s The Deal? Continuing a parade of substantial doc options this summer, James Marsh’s follow up to his Oscar-winning “Man on Wire” takes on Nim, a chimpanzee who became the focus of a landmark 1970s experiment that aimed to prove an ape could learn to communicate using sign language if raised and nurtured like a human child. Who’s Already Seen It? 23 critics gave it an average of B+ on the film’s criticWIRE page. Why is it a “Must See”? Just as it did at its Sundance premiere, “Nim” should arrive in theaters with considerable buzz surrounding it. It should produce a lot of dialogue about animal rights and could potentially break out well beyond traditional doc audiences. “Animal lovers and psychology buffs will flock to the movie based solely on curiosity about its premise, while audiences sympathetic to endangered animals may turn out in droves in much the same fashion that they did for “The Cove,'” indieWIRE’s Eric Kohn wrote in his Sundance review. What’s The Deal? PR nightmare Mel Gibson makes an attempt at career damage control in Jodie Foster’s long-awaited third directorial effort. Gibson stars as a clinically depressed toy company CEO who finds solace through a beaver hand puppet that he begins to use to communicate to his estranged wife (played by Foster). The screenplay – written by Kyle Killen – topped the 2008 “Blacklist,” which ranks the year’s best unproduced screenplays. Who’s Already Seen It? 10 critics gave it an average of B- on the film’s criticWIRE page. Why is it a “Must See”? 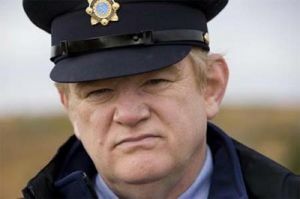 Mass public hatred for Gibson will be no small obstacle to overcome, but “Beaver”‘s bizarrely intriguing premise (and fairly positive reviews out of SXSW) might make for a very curious public come May. What’s The Deal? Michael Winterbottom follows up his controversially violent “The Killer Inside Me” with something completely different: Largely improvised, “The Trip” follows fictionalized versions of actors Steve Coogan and Rob Brydon through “foodie heaven” as they stop at some of the best restaurants and inns in the north of England. Who’s Already Seen It? 15 critics gave it an average of B+ on the film’s criticWIRE page. Why is it a “Must See”? Coogan and Brydon are on top of their game here, spending much of “The Trip” trying to one-up each other with dueling impersonations of Michael Caine, Liam Neeson, Sean Connery and Woody Allen. A good contender for summer’s funniest indie option. What’s The Deal? Azazel Jacobs’ “Terri” and Richard Ayoade’s “Submarine” give summer a nice jolt of teen angst with these unique coming-of-age narratives. The former stars newcomer Jacob Wysocki in director Jacobs’ considerably more accessible follow-up to 2008’s “Momma’s Man.” Wysocki plays Terri, an overweight teenager whose life takes a positive turn when his assistant principal (John C. Reilly) decides to take him on, leading them both on a path to self-discovery. 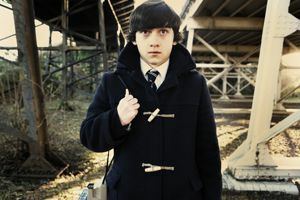 The latter, meanwhile, has British comic Ayoade delivering his feature debut in this 1980s-set tale of Oliver Tate (Craig Roberts), a boy on a mission to save his parents (Sally Hawkins and Noah Taylor) from the dissolution of their marriage and to lose his virginity before he turns 16. Who’s Already Seen Them? 20 critics gave “Terri” average of B+ on the film’s criticWIRE page, while 19 critics also gave “Submarine” an average of A- on the film’s criticWIRE page. Why Are They “Must Sees”? Two of the freshest and distinctively clever teen tales to head our way in some time, “Terri” and “Submarine” should also give us two of this summer’s big actor breakouts in Wysocki and Roberts. What’s The Deal? “The Fog of War” director Errol Morris’s latest tells the tale former Miss Wyoming Joyce McKinney and the infamous “Case of the Manacles Mormon.” Part black comedy, part film noir, “Tabloid” tracks McKinney’s strange life in the British tabloids. Who’s Already Seen It? 27 critics gave it an average of B on the film’s criticWIRE page. Who’s Already Seen It? No one as of yet, but check back with the film’s criticWIRE page. Why is it a “Must See”? It sounds a bit like “Vicky Christina Barcelona Goes To France,” which might not make for a classic, but could make for a very fun time. It’s a great cast (though isn’t it always), and while the Woodman has been more miss than hit in the past decade or so, maybe his first foray into the City of Lights proved particularly inspirational. What’s The Deal? Lone Scherfig follows up her best picture nominated “An Education” with this adaptation of David Nicholls’ 2009 novel (Nicholls himself wrote the screenplay). Starring Anne Hathaway and Jim Sturgess as a not-quite-couple who first meet as they graduate from the University of Edinburgh on July 15th (St. Swithin’s Day), and decide to meet again on that same day every year for the next two decades. What’s The Deal? Andrew Rossi’s doc takes on the inner-workings of one of the world’s most prominent newspapers, The New York Times. “Page One” adopts a verité approach to delve into debates about tensions between old and new in today’s fragile media industry. Who’s Already Seen It? 16 critics gave it an average of A- on the film’s criticWIRE page. Why is it a “Must See”? Very well received at its Sundance debut, indieWIRE called “Page One” “a cogent, provocative portrait of the intellectual process behind conventional newsmaking and the forces opposed to it” in its review. What’s The Deal? One of the many big buys for Fox Searchlight at this year’s Sundance Film Festival, Mike Cahill’s “Another Earth” will be the first test as to whether that pays off. The sci-fi romance, which centers on the discovery of a mirror Earth, stars Sundance darling Brit Marling, who also co-wrote and produced the film (and stars in another Searchlight buy, “Sound of My Voice”). Who’s Already Seen It? 15 critics gave it an average of B on the film’s criticWIRE page. Why is it a “Must See”? 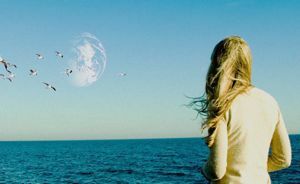 “Another Earth” will definitely be a unique option for specialty filmgoers this summer. Eric Kohn called it “Andrei Tarkovsky’s ‘Solaris’ by way of Aaron Katz” in his Sundance review. Not exactly a marketing department’s dream, but hopefully audiences will appreciate “Earth” anyway. What’s The Deal? Over 50 years after “Breathless,” Jean-Luc Godard continues to expand his oeuvre with this extraordinarily divisive and difficult to summarize film, which debuted at last year’s Cannes Film Festival. A “symphony in three movements,” “Film Socialisme” involves a Mediterranean cruise, true or false myths, and children who have summoned their parents to “appear before the court of their childhood,” among many other things. Who’s Already Seen It? 22 critics gave it an average of B on the film’s criticWIRE page. Why is it a “Must See”? With criticWIRE grades ranging from “C-“s to “A+”s, it depends on who you ask. In his review from Cannes, indieWIRE’s Eric Kohn, for example, said the film is “a highly fragmented piece that moves between several locales and situations with no easy guide to help sort through the mess.” That said, if you want to be part of the summer’s most controversial cinephile conversation, “Film Socialisme” is a must. Who’s Already Seen It? 5 critics gave it an average of B on the film’s criticWIRE page. Why is it a “Must See”? “‘Bellflower’ unquestionably provides a phenomenal showcase for newcomer Glodell that’s all the more impressive given its multi-year production history and minuscule budget, a backstory that should help garner some media attention,” Eric Kohn wrote in his Sundance review. Who’s Already Seen It? 10 critics gave it an average of B+ on the film’s criticWIRE page. Why is it a “Must See”? A fascinating, intensely affecting project that has been very well received in its festival screenings, supporting “Life in a Day” also aids in similar projects being made in the future. What’s The Deal? The specialty market gets raunchy with the directorial debut of Abe Sylvia, a 1980s set teen comedy that details the story of smart, slutty Danielle (the transformative Juno Temple) and overweight, gay Joel (newcomer Nicholas D’Agosto), teenagers who end up on a road trip together that evolves into a life-changing experience for both. Who’s Already Seen It? 13 critics gave it an average of C+ on the film’s criticWIRE page. Why is it a “Must See”? Though unlikely to win over critics in a big way, “Dirty Girl” is the summer’s best bet for dirty retro fun. What’s The Deal? Save for Woody Allen, Sony Pictures Classics’ two other big hopes for a summer breakout come in the form of two very different films: John Michael McDonagh’s extremely dark Irish comedy, “The Guard,” and Vera Farmiga’s spiritual directorial debut, “Higher Ground.” Both Sundance purchases, the former stars Brendan Gleeson in a career-high performance as a vulgar cop caught up in an international drug trafficking plot, while the latter stars Farmiga, John Hawkes, Donna Murphy and Joshua Leonard, and episodically depicts a tight-knit spiritual community across several decades. Why is it a “Must See”? Both warmly received at Sundance, the pair offer the summer a distinctive dose of counter-programming (albeit very different doses) to typical Hollywood fare.